Die großformatigen original Kunstwerke werden in der New Art Gallery des Filmaur Multimedia Haus in Gauting während der Dauer des Festivals ausgestellt. 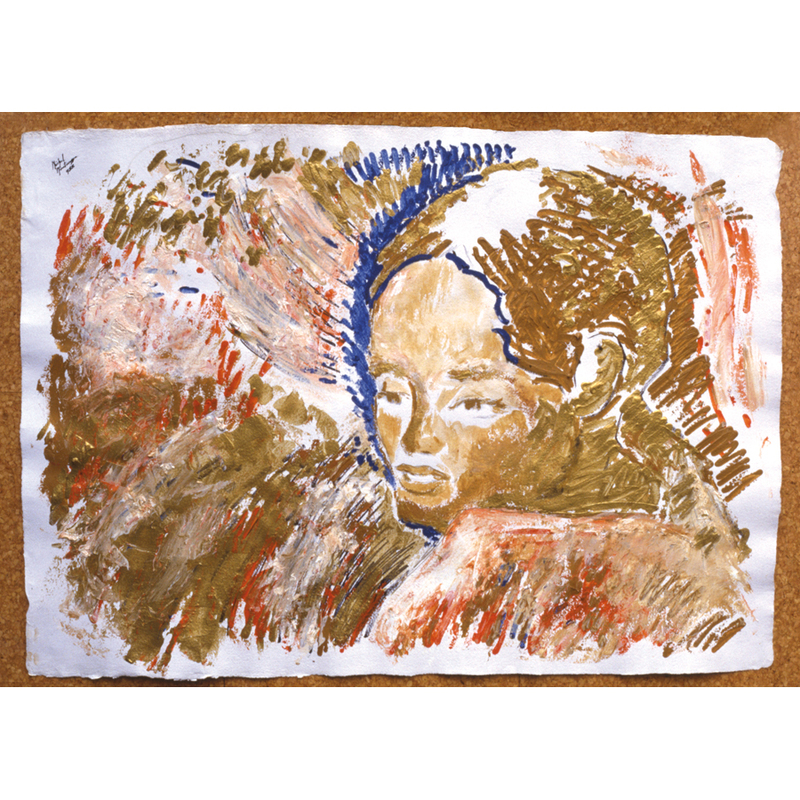 The ‘Looking Forward’ Art Exhibition of 184 new Michel Montecrossa drawings and paintings in the New Art Gallery of the Filmaur Multimedia House in Gauting, (Germany) can be seen every day from 15:00 – 19:00 and will be on display from 2017 – 2019. 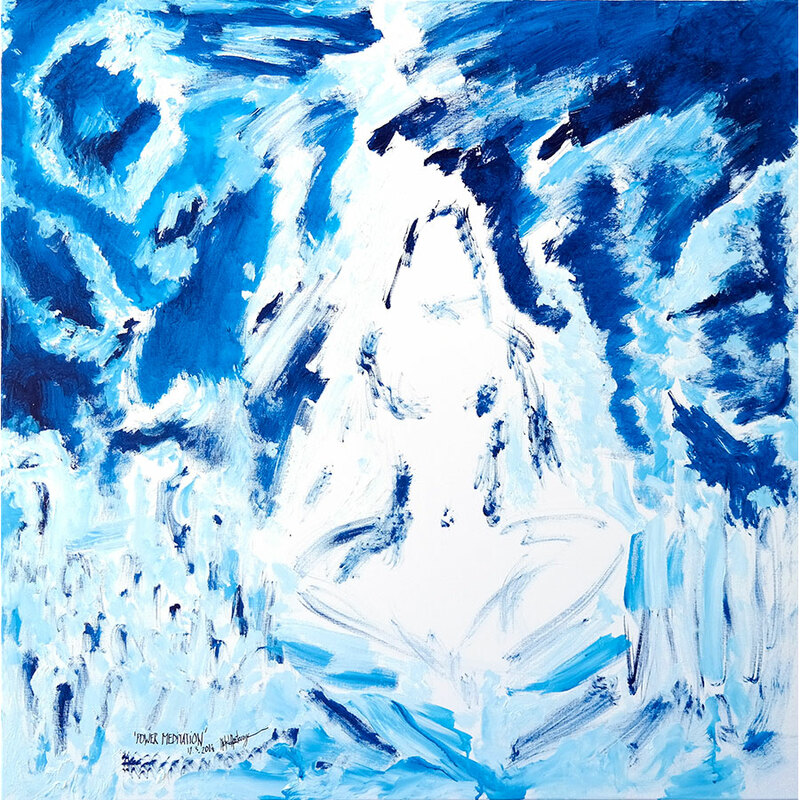 On 20th May 2017 starting 19:00 opening of the ‘LOOKING FORWARD’ Art Exhibition of new Michel Montecrossa paintings and drawings for the period of 2017-2019. 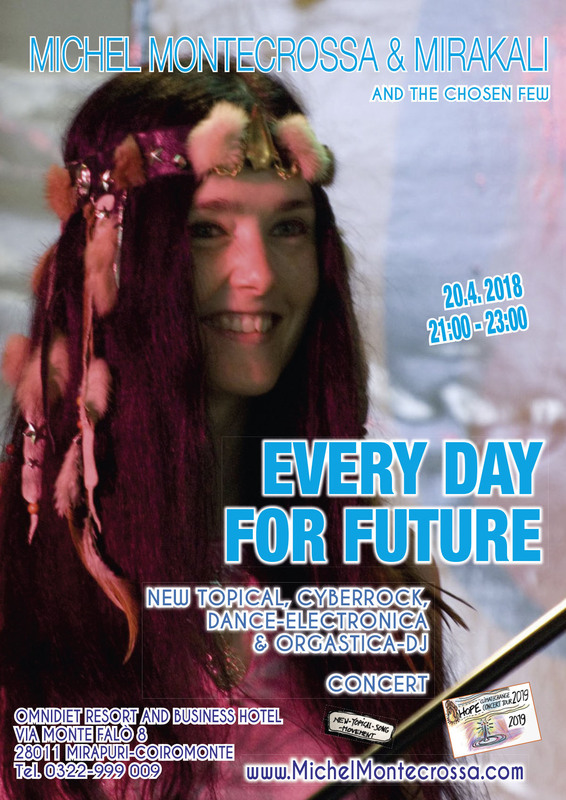 As part of the exhibition Michel Montecrossa with his band The Chosen Few performs his ‘Joy & Love Dance – Freude und Liebe Tanz Cyberrock, New-Topical & Cyberdance Concert in Gauting’ from 22:00 – 24:00. The ‘LOOKING FORWARD’ Art Exhibition of new Michel Montecrossa paintings and drawings can be visited every day from 3 p.m. till 7 p.m. in the New Art Gallery at the Filmaur Multimedia House. ’Rising Aim’ is with its red hand the image of matter working its way to universal consciousness and meeting there the blue space age spirit of the luminous soul of mankind expanding into transcendence. ’Rising Aim’ is the left side painting of the Triptych with the title ‘Universe’. It is a painting with intense and bold energy of color-power, triumphant composition and depth of light, effortlessly opening the mind to the beyond-mind levels of perception and their youthfully de-stressing capacity. 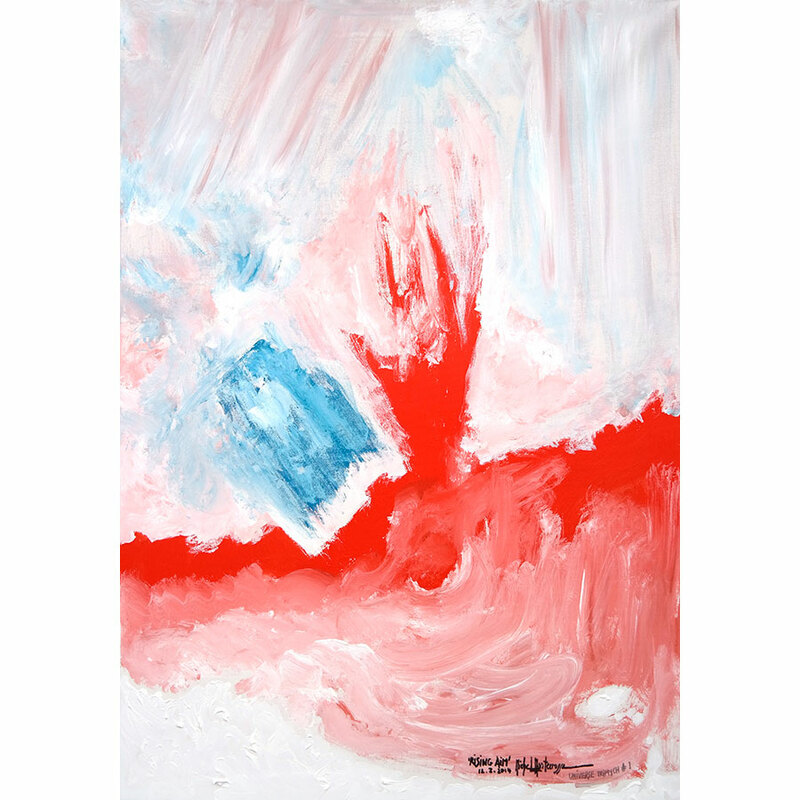 ’Rising Aim’ is with its red hand the image of matter working its way to universal consciousness and meeting there the blue space age spirit of the luminous soul of mankind expanding intotranscendence. 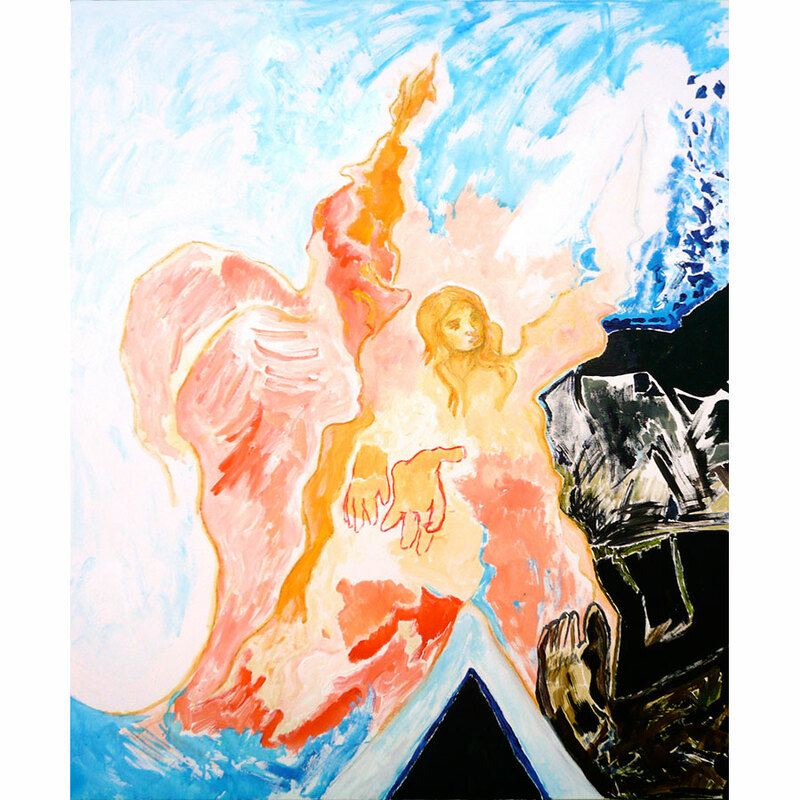 ’Rising Aim’ is the left side painting of the Triptych with the title ‘Universe’. It is a painting with intense and bold energy of color-power, triumphant composition and depth of light, effortlessly opening the mind to the beyond-mind levels of perception and their youthfully de-stressing capacity.